Last week I was in Hyderabad (March 24-25) and Chennai (March 26) for Sun Tech Days 2010 – probably the last ones in India. My association with Sun Tech Days goes as back as 2001 when I attended it for the first time in Delhi. After I joined Sun, I’ve been speaking regularly at Tech Days each year on different technologies. I arrived a day early at the regular venue – Hyderabad International Convention Centre and was quite surprised to see a somewhat deserted look.. no colorful Sun and Java posters this year! I ran into some colleagues and had a good time catching up with them. Next morning the event started with a welcome address by Oracle’s Country Head followed by a really nice keynote by James Gosling which was loved by one and all. After the morning session, all attendees disbursed to attend the technical sessions that were grouped in parallel tracks. I saw some impressive headcount for all the sessions. The sessions were well received and there were some really nice questions from the attendees. The thing I like most about Tech Days is the interactions people have after the sessions.. the conversations.. it provides an excellent opportunity to learn about some exciting projects people are doing. Besides my sessions I was also assisting Angela with her JavaFX Hands-On-Labs. The Labs were all packed.. there was lot of enthusiasm about JavaFX this year. The attendees simply loved it. From Hyderabad, I left for Chennai to participate in the 1-Day Tech Days Plus event. I had a really nice time interacting with the developers and met some of my old colleagues and friends. I returned home with mixed feelings… after all I had just wrapped up the last Tech Days in India. Last week Hyderabad hosted the popular developer conference – Sun Tech Days for the second consecutive year. It was a great 3-day event filled with learning (lots of technical sessions/labs) and entertainment (Euphoria concert, Talent show, Fashion show etc). I really enjoyed the Day-2 keynote by David Axmark (MySQL co-founder). He took us through the journey of MySQL – The world’s most popular open source database and shed some light on the road ahead. His slide on Sun-MySQL partnership drew huge applause from a packed hall of developers. As far as technical sessions go, the attendees had lot of options this year. There were 3 tracks packed with various sessions and labs to choose from. The attendees had a great time attending different sessions throughtout the day and had more reasons to cheer for in the evenings. If it was the popular band “Euphoria” rocking on Day 1, it was the fashion show that kept everyone in good spirits on Day 2 :). All in all a great event as always. Find more details on Arun’s blog (Day 1 and Day 2).. he’s got some lovely photos and videos from the event. After almost a year I decided to upgrade the Operating Systems on my laptop. 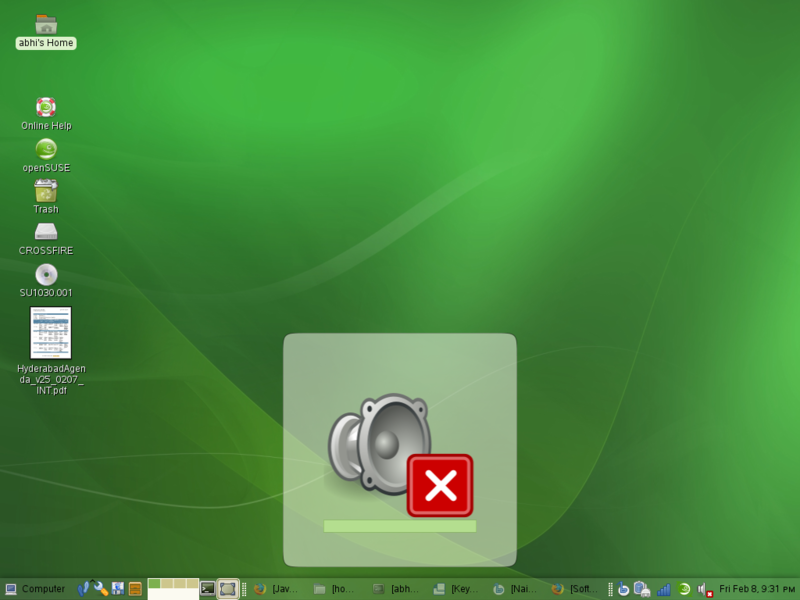 The plan was to install the latest Solaris build – Solaris Express Developer Edition 1/08 (snv_79) and openSUSE 10.3 along with the pre-installed Windows XP. I managed to get hold of a USB hard disk to take a backup of my data, partitioned/formatted my disk and installed Win XP. 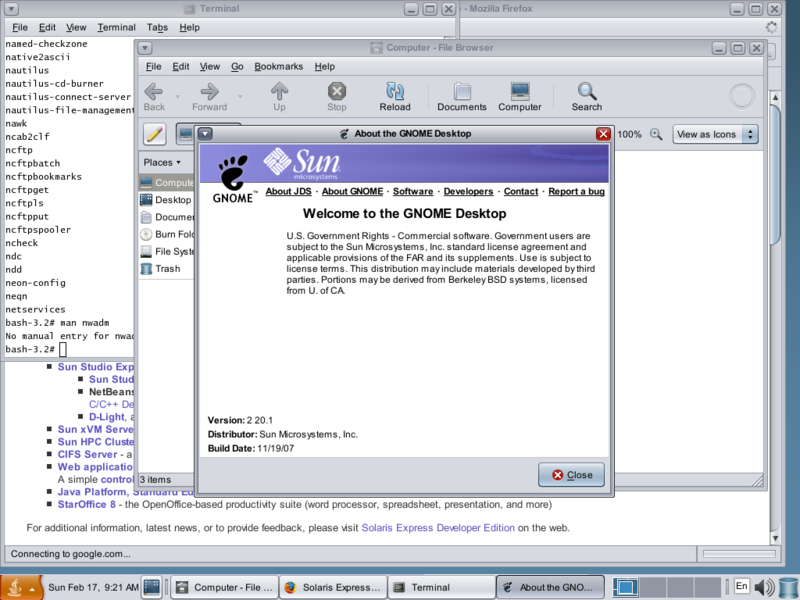 I then went about installing Solaris. 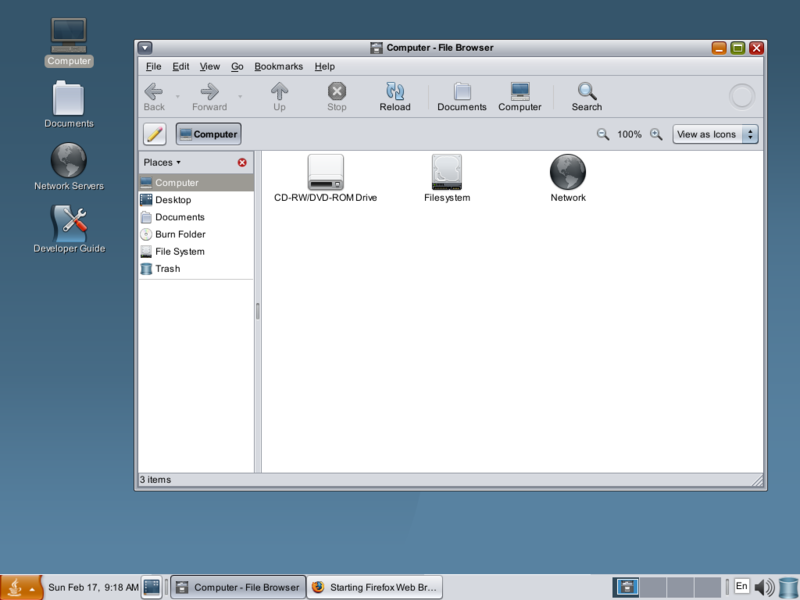 Anyone who has tried installing Solaris in the past will be totally impressed with the new installer – very user friendly! It gives simple options to the user to pick from and goes about installing the OS. Easier network management – It detected my wireless device and post-installation, displayed all the networks I can connect to. Out-of-the-box development environment viz. NetBeans 6, Apache, Databases etc. 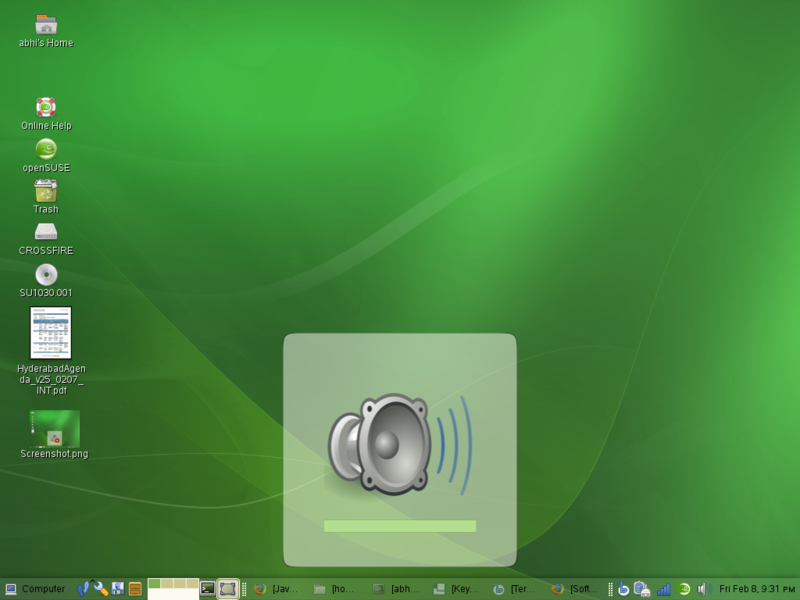 Next on the agenda was openSUSE 10.3 installation. I was kind of expecting the installation to be fairly trivial. Unfortunately, that was not to be :(. After few minor glitches (the installer kept crashing every now and then), I finally managed to install it. The startup time has really improved – A good enough reason to upgrade for 10.2 folks. Lastly, I had to modify the Grub menu for both openSUSE (to add an entry for Solaris) and openSolaris (to add an entry for openSUSE). #pragma ident	"@(#)menu.lst	1.2	07/01/10 SMI"
# the kernel$ and module$ commands expand $ISADIR to "amd64"
# It maps to the GRUB device: (hd0,2) . # It maps to the GRUB device: (hd0,3) . I was in Bangalore last friday for Sun Technology Summit that was attended by 800+ developers. The main attraction of the event was definitely Scott McNealy – Sun Co-Founder & Chairman. The event started at the scheduled time with Scott’s keynote session. He touched upon a lot of things viz. Software, Hardware, Services, Open Source, Education etc. The audience really enjoyed his session and later mobbed him for autograph :). His keynote was followed by my session on Java SE: Today and Tomorrow where I took the attendees through the Java timeline and the future roadmap. New Language Features of Java SE 5, 6 and 7. Demos – Java Desktop Integration, Java SE Web Services, Scripting in Java and JConsole. There were quite a few questions from the audience regarding the new features and they seem to have enjoyed the demos. I had interactions with lot of people throughout the day – Students, Architects, Academia etc. Sun was invited to participate in NIT Durgapur’s techfest – Mukti. It’s primarily driven by the university’s Linux User Group – an active bunch of students that I later got to meet and interact with. I and Moinak had a session each on Java and Solaris respectively. More than the sessions, I think we enjoyed the interaction with the students. industry and are already preparing for getting into Business schools – a common situation at Technical institutes in India these days. I don’t know how good they’ll be in the business world but they could really carve a niche for themselves in the engineering world. Yesterday, we had a seminar on Sun Technologies at IIT Roorkee. I spoke along the lines of my session at IIT Bombay last week. I was accompanied by Aakash who spoke on Solaris and its features. We had a nice audience, mostly CS students who had postponed their lectures for the seminar. It was heartening to see the Head of the CS Department sitting in the front row – Thank you Sir! The seminar was very well received by the audience and we got a lot of Qs – about Java, Solaris, Internship programs at Sun etc. After the seminar we met few senior faculty members and distributed OpenSolaris and NetBeans CD/DvDs. Techfest 2007 – IIT Bombay‘s Annual International Science and Technology festival began yesterday (Jan 26th) with much fanfare. The beautiful campus near the Powai lake was jostling with Students and Industry folks alike. I was invited to talk.. err.. rather show how to develop applications for different Java plaforms – Java SE, EE and ME. I was accompanied by Sundar, Moinak and Naveen. We reached the campus in the morning and were taken straight to the lecture hall. The hall was packed with students and you could feel the excitement in the air. After being formally introduced we took our seats and Naveen, who takes care of Developer Relations welcomed everyone to the event. Since, Jan 26th happens to be India’s Republic Day, he requested the audience to start the event with the National Anthem. It was well taken by the audience and within moments the hall was resounding with the student voices singing the Anthem. Sundar took the first session and spoke on Java – Now and Future . He shared with the audience some exciting features/work (Scripting support, JRuby etc.) that are currently under development and also explained the effects/benefits of open sourcing Java. My session was titled – Building Applications for the Desktop, Web and Mobile leveraging NetBeans. I gave a quick overview of NetBeans and delved straight into the application development bits. The audience simply loved the ease of use side of Java. I created a simple desktop application using the Matisse GUI builder and showed the Localization support that aids development of multi-lingual applications. I demonstrated it using different regional languages viz. Bengali, Gujarati, Hindi etc. There were few web application developers in the audience and they were completely smitten by the NetBeans Visual Web Pack plugin especially the validation and pagination features. Most of the students in the audience had come to see Java ME application development and totally loved NetBeans Mobility Pack. I showed them couple of games and developed an End-to-End application – A mobile client (Midlet) that accesses a web application (Servlet). I followed it up with a brief demo of profiling applications using NetBeans Profiler and how it helps in diagnosing various performance problems. Moinak took the last session and spoke about Solaris and its features. He also shared with them information about OpenSolaris and BeleniX – his baby 🙂 . Many students penned down the URLs and email addresses of various resources and OpenSolaris user groups respectively. Later, we distributed CDs/DvDs of NetBeans/OpenSolaris to the attendees and took a stroll around the campus. There were banners/posters of various technologies and companies all over the place. I instantly understood what Naveen meant in the morning when he said – if you’re not here you’re not there 🙂 . On the whole, it was an exciting first day @ TechFest, IIT Bombay. Just found some nice Sun advertisements on YouTube… really funny! You can find more Sun Microsystems videos here.